A project was commissioned by the AONB Partnership in 2013 to undertake research on the historic designed landscapes within the AONB. 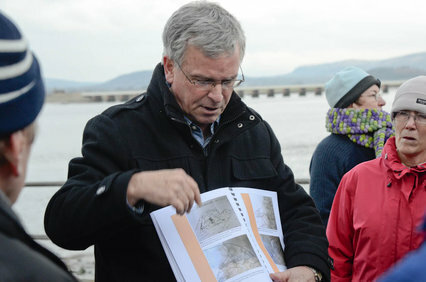 The study was funded by the AONB Partnership and Lancashire County Council (LCC) and undertaken by Ed Bennis, a landscape architect and researcher, and Ruth Thurnhill. The study – a first for any of England’s AONBs – covered a great amount of ground and identified a broad range of important gardens. The report from this study, which will inform the conservation, restoration, enhancement and management of these features, is available for use by partners, stakeholders and communities. A second phase of the project was commissioned in early 2015 to carry out further research into three sites, considered to be some of the most important parks/gardens in the AONB: Ridgeway Park (Greywalls), Bleasdale School and The Hyning. The AONB Partnership again worked with Lancashire County Council to deliver the project and the work was undertaken by Ed Bennis. This project offered an opportunity to learn more about the design, history and importance of the three gardens and to look at ways of looking after them to retain their historic character. The research has helped to identify important features that are still present on the three sites and has considered how the gardens may be managed in the future to retain these features. The research reports and care and management guidelines for each of the gardens are available to download below.